issues, which form an underlying thread throughout the collection, are: first whether Plato's Republicis centred on what is good for individual humans, or on some quasi-moral good; and secondly, what the Form of the Good is. 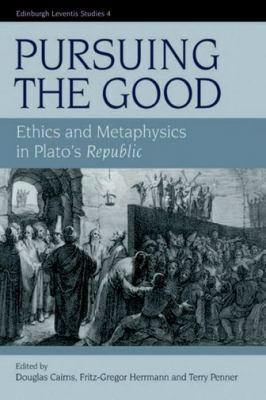 Pursuing the Goodgoes beyond recent studies in the field, and will appeal to Classicists and Philosophers alike. To the advanced student, it represents a wide-ranging introduction to central issues of Plato's philosophy; for the academic it will provide stimulus through antithetical and controversial solutions to questions old and new. Douglas Cairns is Professor of Classics in the University of Edinburgh. He is the author of Aidï¿½s: The Psychology and Ethics of Honour and Shame in Ancient Greek Literature (1993), Bacchylides: Five Epinician Odes (2010), and Sophocles: Antigone (2014). Fritz-Gregor Herrmann is Senior Lecturer in Classics and Ancient History, University of Wales, Swansea. The Good, Advantage, Happiness and the Form of the Good: How Continuous with Socratic Ethics is Platonic Ethics? Is Plato's Conception of the Form of the Good Contradictory? The Good and Order: Does the Republic Display an Analogy Between a Science of Ethics and Mathematics?